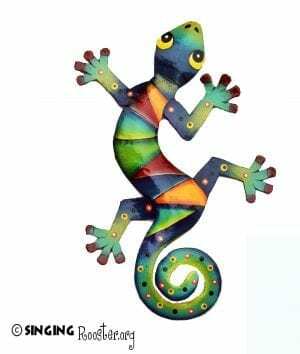 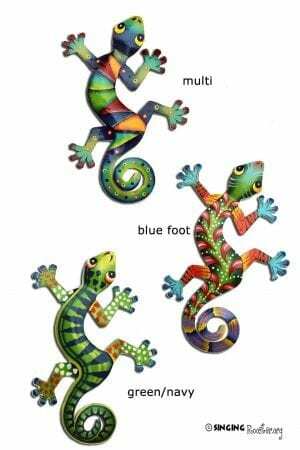 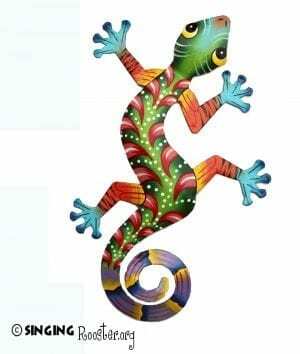 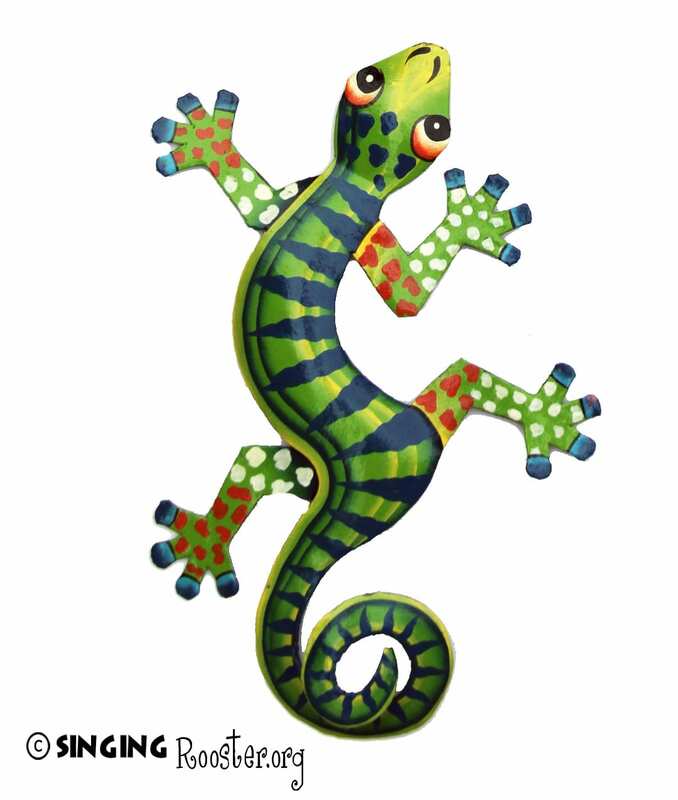 Shop for Colorful Gecko / Lizard wall art for the Home or Garden. 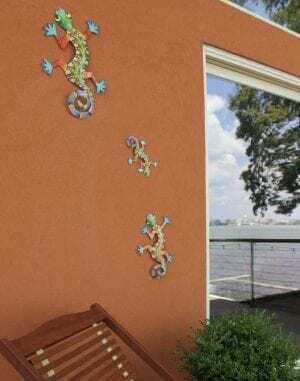 Decorate child’s room too. They’re exquisite on a wall – or floor – several hung together; hook on back. 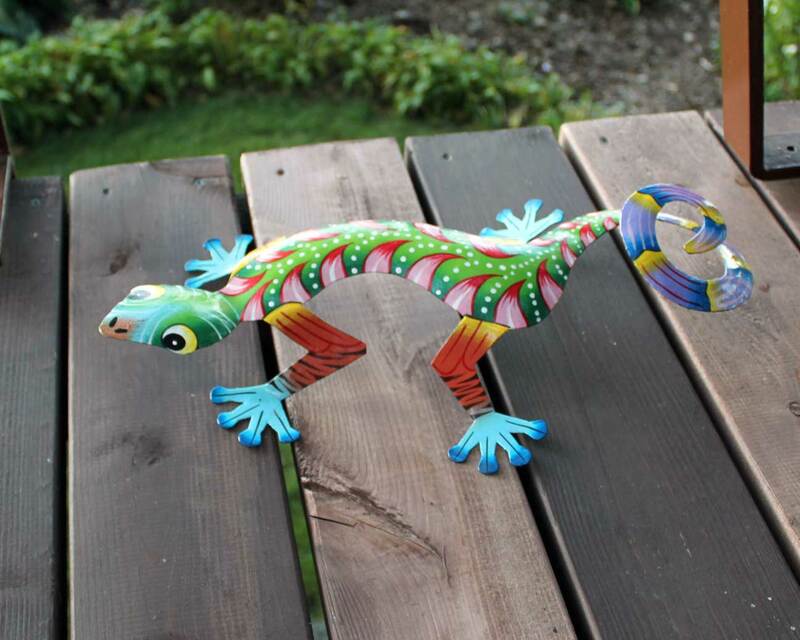 Handmade & painted metal Gecko — from recycled metal. Ships flat – carefully bend legs, tail & head for a 3-D effect.